The F-Series by Ford is one of the best-selling trucks in America, with more than 500,000 sales in the last year. With that in mind, the company is trying to constantly improve its star truck and the 2017 Ford F-Series Super Duty looks better than ever. We do not know the powertrains inside, the towing figures or the payload, but Ford claims we are in for some significant improvements. One of the biggest improvements, however, is in the technology aspect, with Ford placing multiple tech goodies inside. The new, 2017 F-Series Super Duty benefits from the new aluminum body frame. 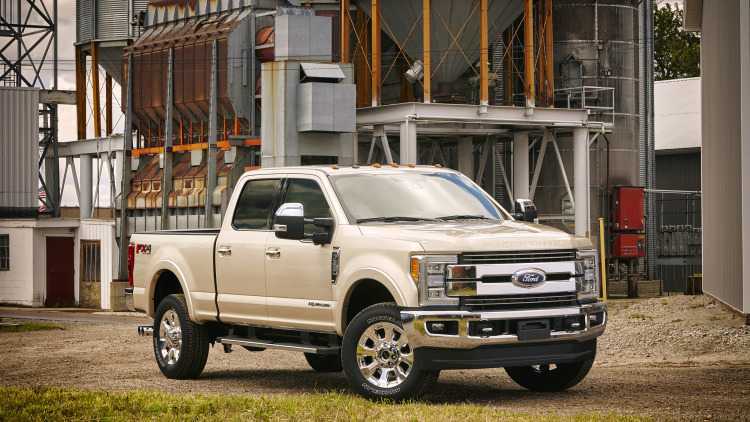 With the new frame and body, the 2017 Ford F-Series Super Duty is 350 pounds lighter. We mentioned that the main improvements will be done in the technology department as the new, 2017 Super Duty will have 16 new, segment first technology features. One of those new features is LED lights inside and outside the track, 400-watt power outlets in the cabin and many safety features. Smart technologies are the focal point for Ford for the 2017 Super Duty, with exterior cameras, collision warning, brake assistance, trailer camera, blind spot monitoring, better steering system and tire pressure monitoring systems available. The new user interface offers compatibility with iPhones, allowing users to connect their phone and use Siri as an assistant, thanks to voice recognition system. The main focus for Ford was to improve towing, as every feature is made with towing in mind. Take the blind spot monitoring system for example. The system uses cameras that are placed in the side mirrors, which allows the driver to look behind the truck. This way, the system works even when a trailer is attached to the truck. Even better, the camera work when the mirrors are folded. All in all, there are seven outside cameras in the 2017 F-Series Super Duty. There are several similarities in the design with the outgoing F-150 model. 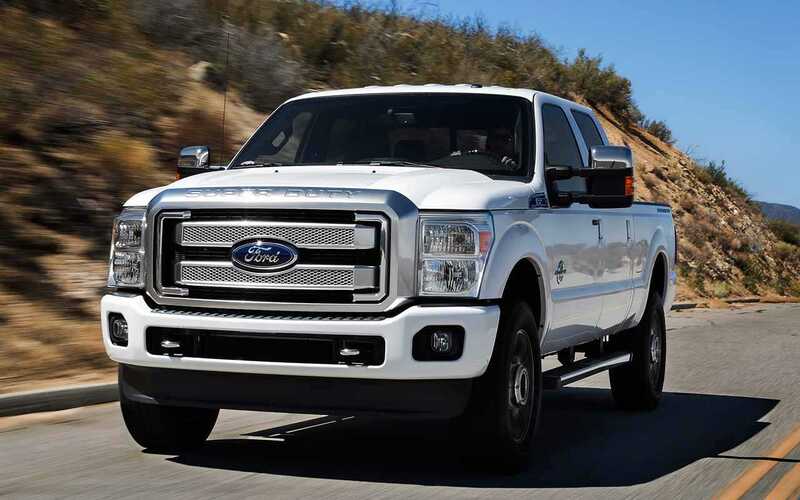 However, Ford designers claim that the 2017 Ford F-Series Super Duty will have more horizontal lines. There are five different grille options, all with a blue oval in the center. For the exterior styling, there are more than 30 different cab and bed combinations that drivers can make. As for the powertrain options, Ford only claims there will be improvements, but the engine lineup will stay the same. That means a 6.2-liter petrol V8 engine, 6.8-liter petrol V10 engine and a 6.7-liter V8 turbocharged diesel engine.